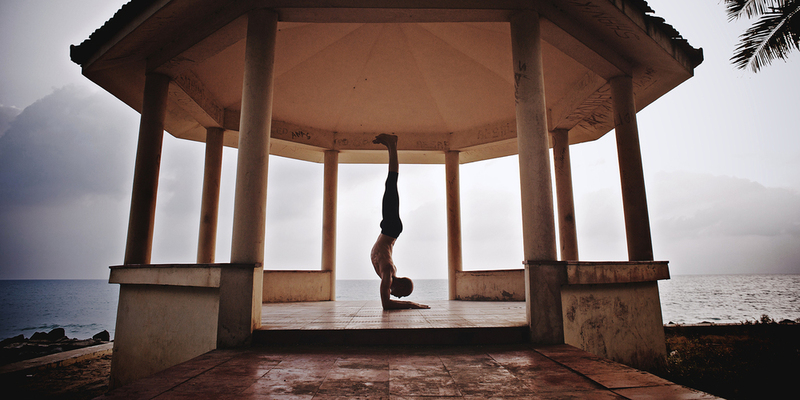 This is a shoot I did for the Danish yoga teacher extraordinaire, Simon Krohn. It wound up leading to the cover of his first book, Facing Reality, on Indian philosophy, the everyday practice of yoga & his own hero’s journey. The location was an old concrete pavilion on the beach in Varkala, South India. We waited for a sunset sky with roiling clouds over the Arabian Sea – the perfect compliment to his serenity in these extreme postures.